As you know, the fight to save our Right to Keep and Bear Arms is white hot in St Paul. Everyone from Bloomberg’s “Moms Demand Action” and “Everytown for Gun Safety” to politicians in both parties and ALL of their friends in the anti-gun media are howling for gun-control! And here in Minnesota, with radical gun control being spearheaded by politicians in BOTH parties of the legislature, it’s time for gun owners to unite together to tell our legislature one thing. . .
. . .that if you want to pass gun-control in Minnesota, you’ll have to go through organized, mobilized gun owners that will make them pay for every single inch of our gun rights that they want to take! 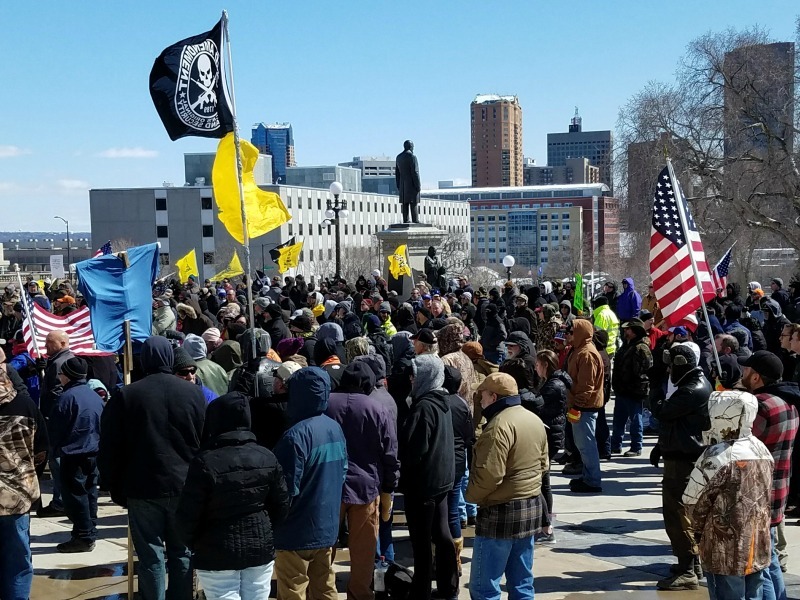 That’s why we’re proud to stand together with patriots from Action 4 Liberty and the North Star Liberty Alliance to sponsor the 2019 RALLY for our Gun Rights! Where: the Minnesota Capitol Rotunda — the rally will be taking place INSIDE! Cost for parking: FREE on the weekend. Firearm Policy: Pistols are legal inside the capitol, open carry or concealed, with a valid permit to carry. Long guns are NOT LEGAL inside the capitol, where the rally will be held. Obey the law, like you already do! On March 13th, anti-gunners across Minnesota are planning a massive anti-gun demonstration at the capitol in St Paul and we’ve got to make sure they’re not the only voices heard! This is our opportunity to come together and make sure the politicians know that gun owners are awake, we’re paying close attention and we won’t let ANY gun-control pass through our legislature without a fight! So please join with us NEXT Saturday, Feb 2nd at 12 PM! If you can make it, please click the image below to go to the Facebook page for the event and click “GOING” so that we can get a better idea of how many people are attending! Stay tuned for further details this week and we hope to see you there!